2,860 students started Primary training in Classes 52-F, 52-G and 52-H. 221 were killed while on active duty, or are MIA. As of 21 August 2013, 761 have died due to causes unrelated to military service. We have lost 982 (more than 1/3) of our classmates. Undoubtedly, some of your late friends are included in the rosters. When you see familiar names, please think positively of the adventures and the good times you remember. 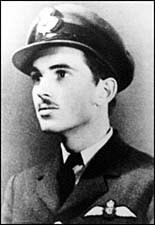 The poem "High Flight" was written by an American - Pilot Officer John Gillespie Magee, Jr. of the Royal Canadian Air Force. After graduation from pilot training, he was sent to England for combat duty in Spitfires. On December 11, 1941 he was killed as the result of a mid-air. He was 19.